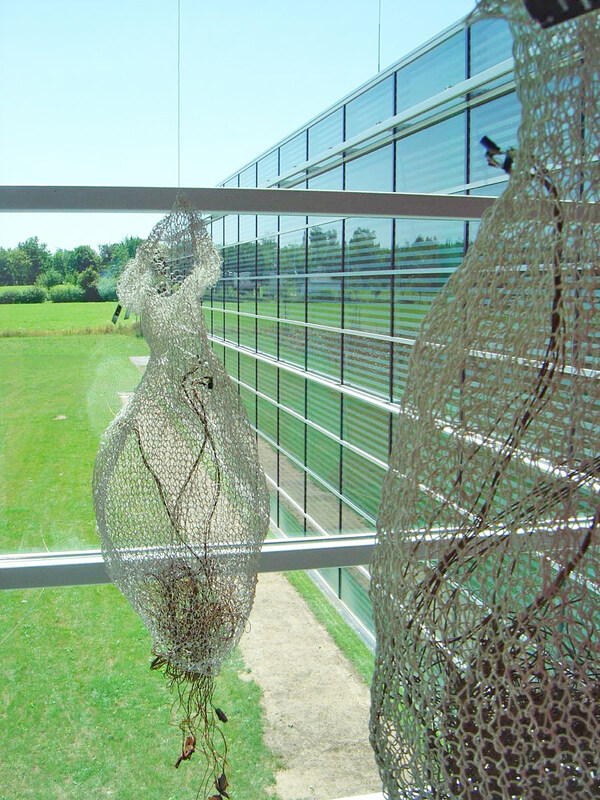 Nine handcrafted sculptures of knitted wire occupy the entrance hall of The High Performance Computing Center Stuttgart. Commissioned by the University of Stuttgart/HLRS. 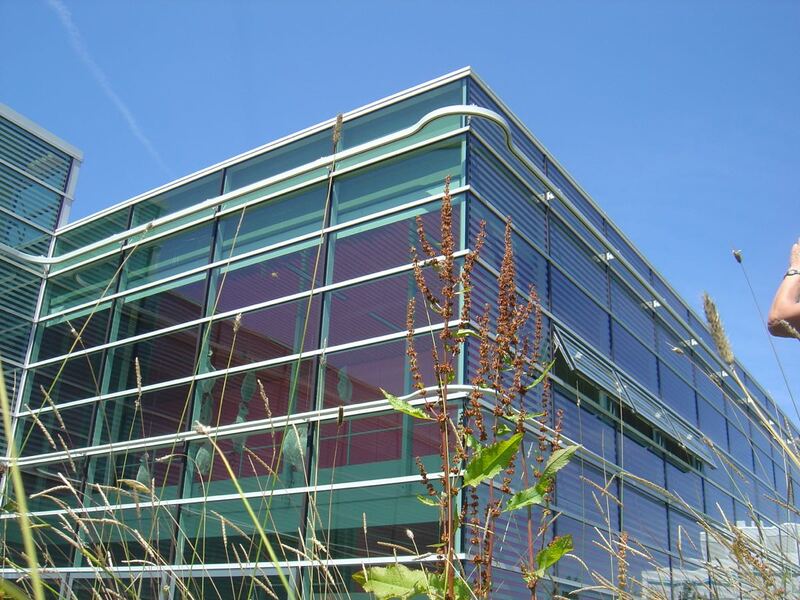 The building hosts a supercomputer that calculates scientific currents on a top-notch high-technology level. In contrast to this advanced digital networked process, the parasites use a basic analog process to translate currency into a sensual experience. 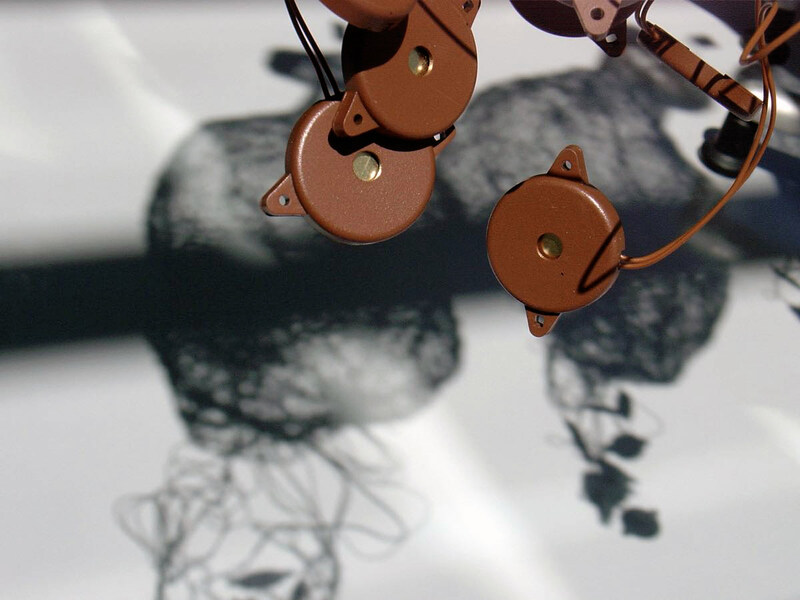 Small electronic subjects are sitting on the outside of the knitted sculptures and assimilate sunlight into mechanical murmur and movement. 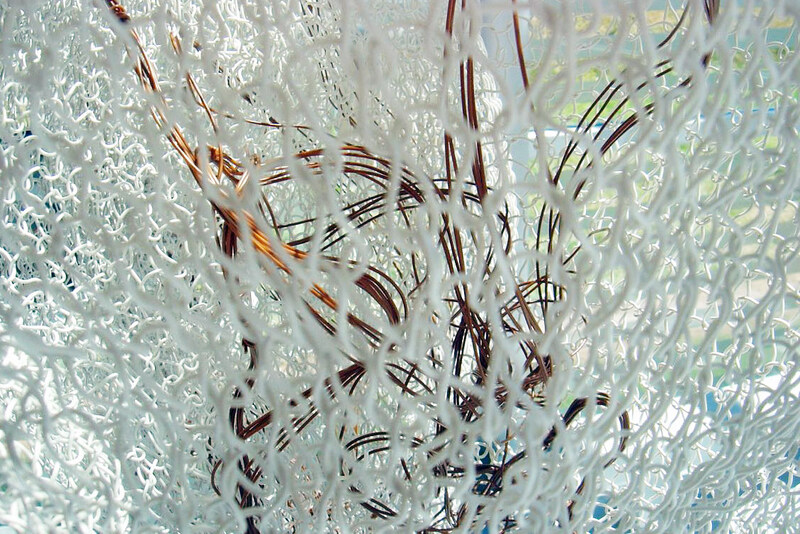 Light is absorbed by solar cells, transported through the knitted wire to the inner organs of the parasite and transformed into sound and motion through a simple analog circuit. The organic appearance of the sculptures creates a strong contrast to the formal, modern architecture and its glossy intense-colored walls. However, it feels that the hive of light-depending parasites wisely chose this bright and open entrance hall. 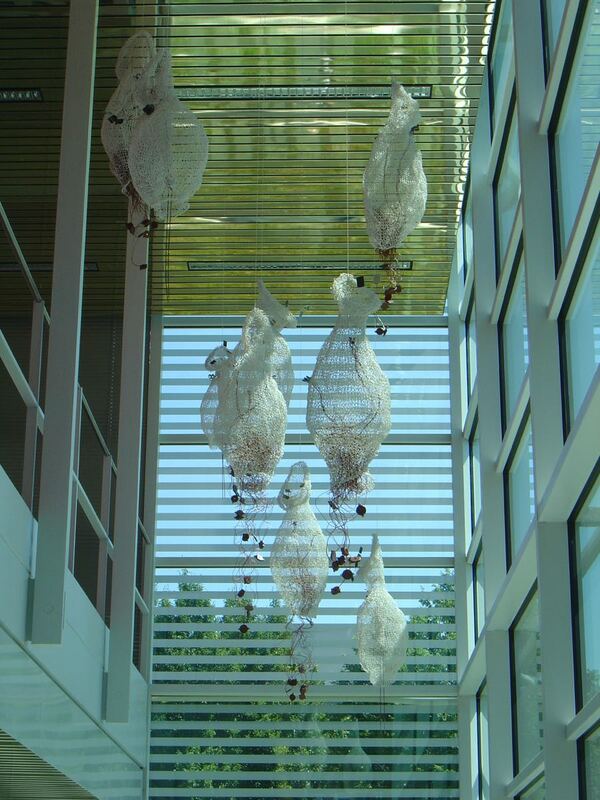 Visitors of the building will perceive the subtle mechanical murmur when they enter the building. 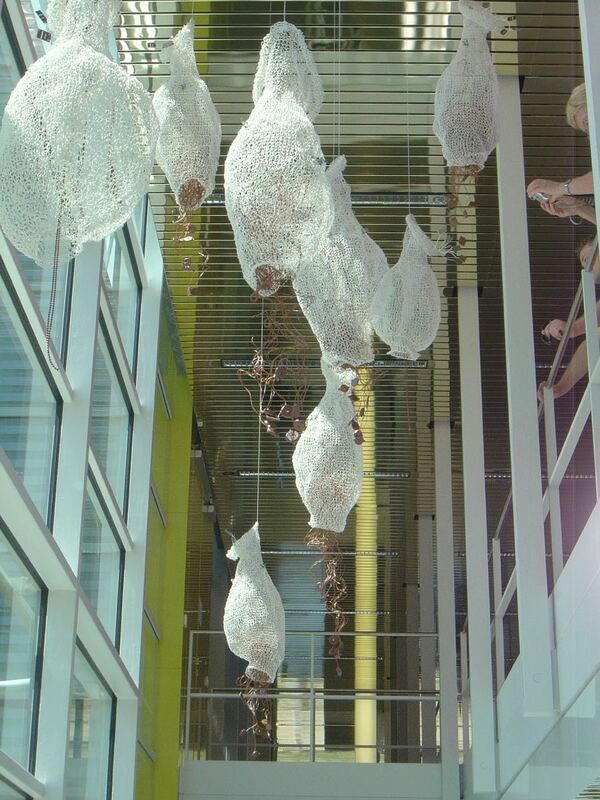 The second floor balcony offers them the opportunity to observe the living invaders from a higher perspective.